Garage doors are a great outdoor asset to your home. Whether you are looking to sell your house or are planning on staying put for years to come, garage doors enhance curb appeal. At Abode Building Center, we offer a generous selection of garage and overhead doors for you to choose from. Our remodeling design specialists can help you determine an appropriate color to match your home’s exterior color scheme. Overhead door designs can be strategically chosen to make your home the most attractive on the block. Whether you are interested in a bold splash of color, or want a more traditional style, our overhead doors are the perfect solution to dress up the exterior of your home. 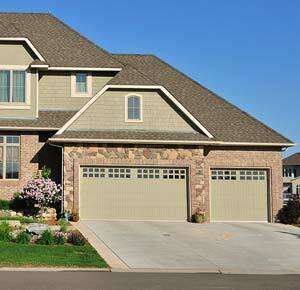 A garage door from Abode Building Center is also a reliable choice. You can be sure that your investment will last you for years to come. You might be surprised by how much of a difference a beautiful, yet functional, garage door will make in your life. If you are interested in browsing our selection of overhead doors, please feel free to call our Portage office at (269) 329-1800. At Abode Building Center, we are always more than happy to help homeowners unlock the design potential of their residences.